London [UK], Jan 19 (ANI): Prince Philip, the Duke of Edinburgh and husband of Queen Elizabeth II, exchanged "well-wishes" with the two women in the car that was involved in an accident with him, the Buckingham Palace said on Friday. London [United Kingdom], May 23 (ANI): The Duke and Duchess of Sussex Harry and Meghan on Tuesday (local time) made their first public appearance since they were married on May 19. Washington D.C. [USA], Apr 26 (ANI): United States President Donald Trump is set to visit the United Kingdom in July, according to two officials on Wednesday. London [UK], Apr. 21 (ANI): It is time for celebrations at the United Kingdom's Buckingham Palace as Queen Elizabeth turned 92 on Saturday. London [United Kingdom], Apr. 19 (ANI): Prime Minister Narendra Modi has arrived at the Buckingham Palace to attend 25th Commonwealth Heads of Government Meeting (CHOGM). London [UK], Apr 3 (ANI): Prince Philip, the Duke of Edinburgh and the husband of Queen Elizabeth II of the UK has been admitted to King Edward VII Hospital for a planned hip surgery, a royal spokesperson of the Buckingham Palace said in a statement on Tuesday. Washington D.C. [USA], Dec. 23 (ANI): Princess Michael of Kent has applogised for wearing a racially tinged blackamoor brooch to the Queen's Christmas lunch at Buckingham Palace, where American Meghan Markle was formally introduced to the royal family. 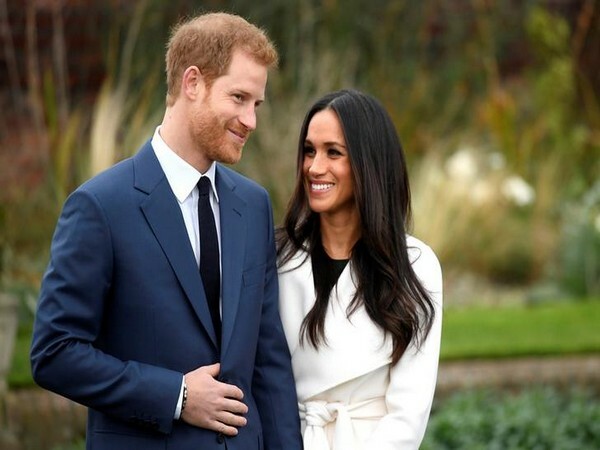 Melbourne [Australia], Nov 29 (ANI): In a fascinating revelation, Meghan Markle's childhood friend disclosed that the actress was always fascinated by the royal family and hoped to be Princess Diana 2.0 someday.